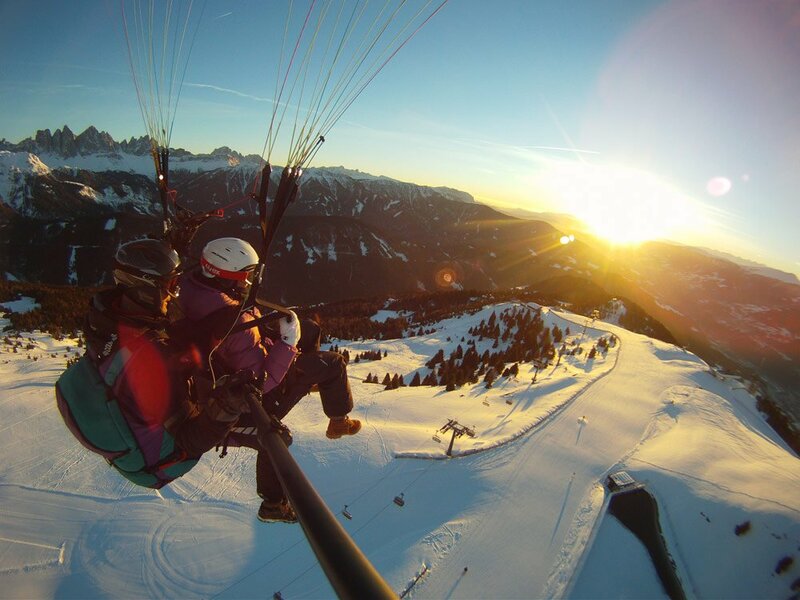 Paragliding in the winter is a fantastic adventure that will turn into a long-lasting and joyful memory. On the local mountain of Bressanone – the Plose – this extraordinary adventure is not limited to the summer months. 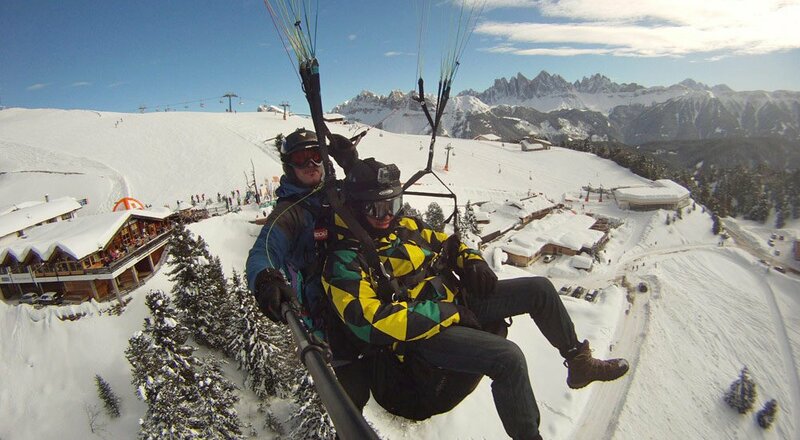 Also during the cold season, a tandem flight with a paraglider has a very special fascination. 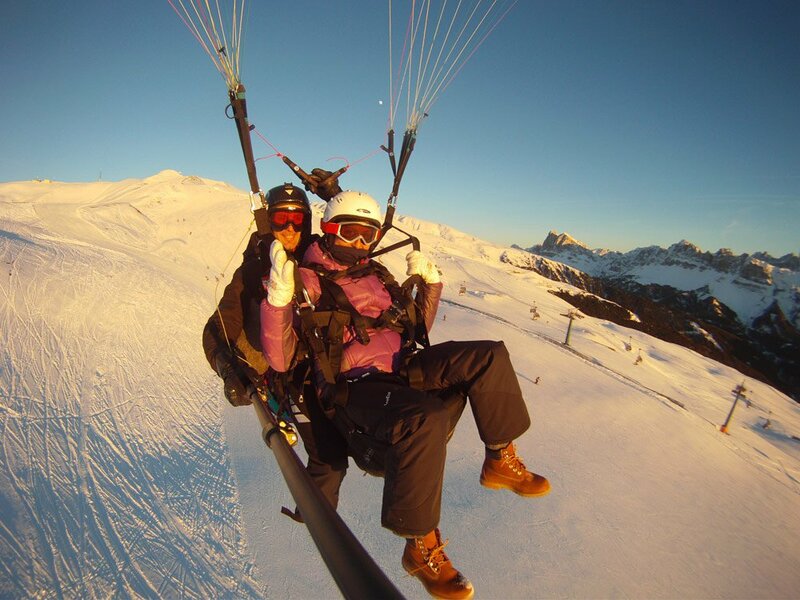 Weightlessly you will glide above the heads of the skiers and enjoy the breathtaking vista of snow-capped mountain peaks and white pastures. 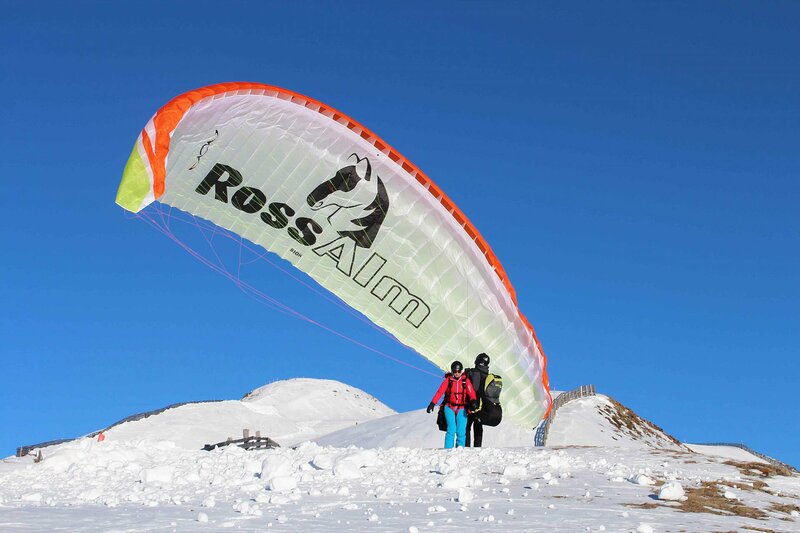 You may observe the hustle and bustle on the ski slopes from an aerial perspective, while the glider continues to climb thanks to the practised control of the pilot. The dark blue of the winter sky over South Tyrol creates a fascinating contrast to the brilliant white peaks of the Dolomites and the Alps. 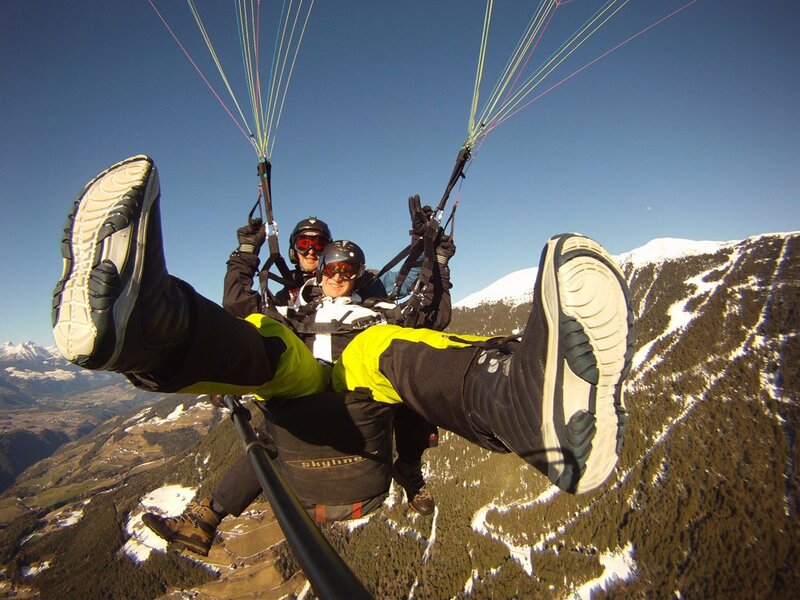 For a tandem flight with a paraglider no previous experience is required. 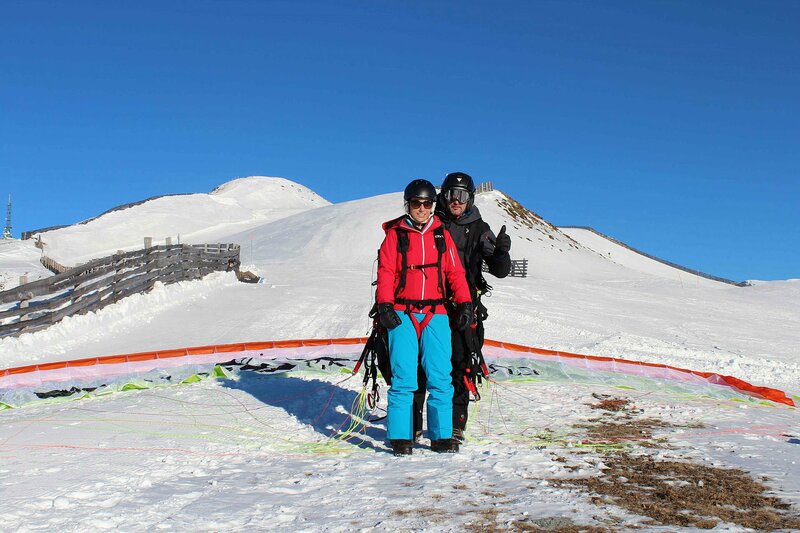 All you need is sturdy shoes and warm winter clothing to fly together with a trained pilot from Mount Plose into the Isarco Valley. After a brief introduction, you will take off from one of the three launch sites on the local mountain of Bressanone. After a 20-30 minute flight, you will land safe and sound close to the valley station. 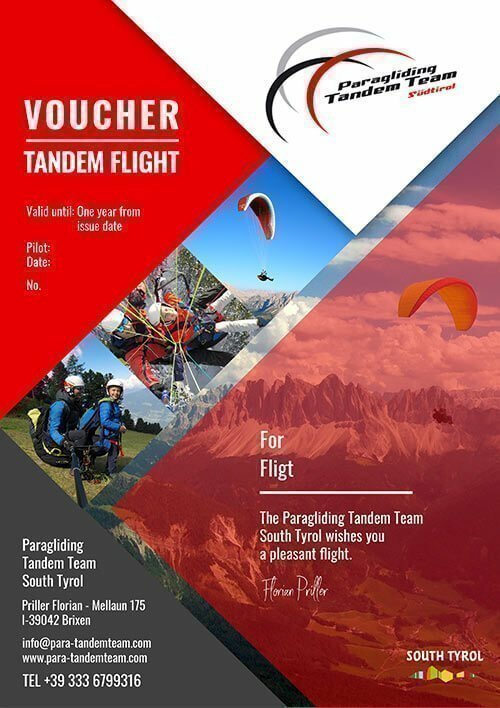 This exceptional flying experience is suitable for young and old and guarantees unique impressions of the snowy mountains in South Tyrol.